We offer a wide range of laboratory consumables such as pipette tips and syringes which are made of high quality plastics. When used with HTL equipment, they guarantee the highest accuracy and repeatability. 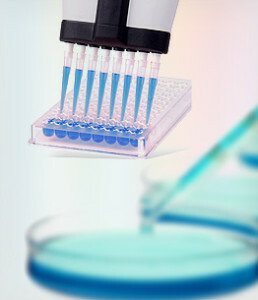 Pipette tips are integral components of the pipetting system. Their shape, material properties and purity have influence on pipetting results. HTL pipette tips are manufactured from the virgin polypropylene in clean room conditions and are certified to be free from bio-contaminants. HTL offer includes standard, sterile and filtered version in all popular packaging formats. The MINILAB 201 dispenser works with eight sizes of disposable, pure polypropylene syringes from 0,05 ml to 50 ml. 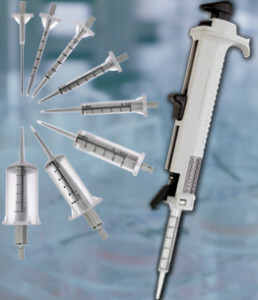 HTL syringes provide most accurate pipetting when used with the MINILAB 201 dispenser. Each syringe is marked to indicate the total capacity and the repetitive volumes it can dispense. Volumes from 1 μl to 5 ml can be dispensed, depending upon the volume selected.